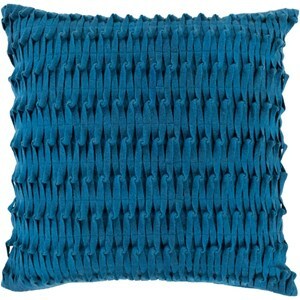 Intricate details and bold coloring will overtake your space with the inclusion of this ideal pillow. 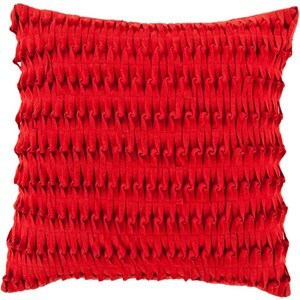 Hand made in India, a looped together design fashions a hint of flawless texture while a captivating coloring radiates a sense of vibrant, striking s style from room to room within any home decor. 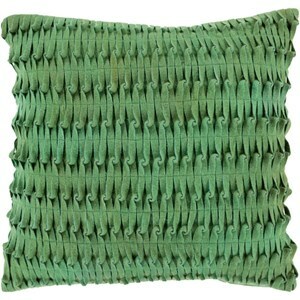 The Eden 18 x 18 x 4 Pillow Kit by Surya at Hudson's Furniture in the Tampa, St Petersburg, Orlando, Ormond Beach & Sarasota Florida area. Product availability may vary. Contact us for the most current availability on this product. Browse other items in the Eden collection from Hudson's Furniture in the Tampa, St Petersburg, Orlando, Ormond Beach & Sarasota Florida area.